The Farnsworth Multi-Cultural Boys Group is led in circle. 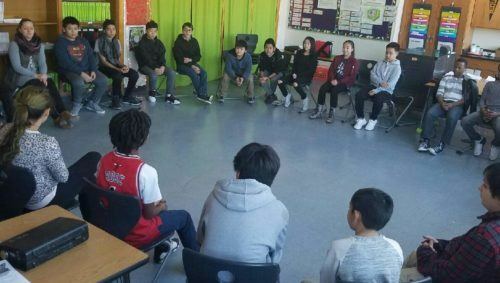 Educators at Restorative Practice Pilot Sites often lead their classes in circle. Restorative Circles have center pieces to ground the discussion. 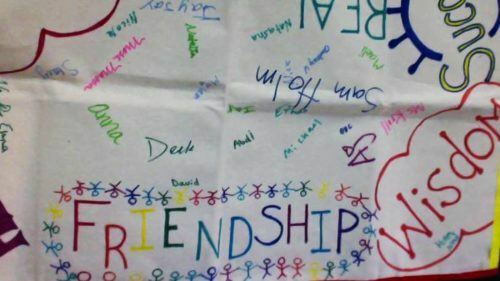 Circles are used to build community in schools. 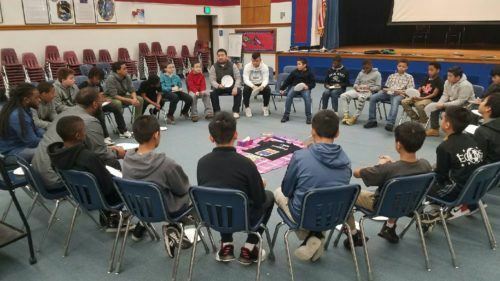 Restorative Practices represent a radical shift in the way members of our school communities relate to each other, focusing on intentional relationship building and shared problem solving. When restorative practices are successful, families feel safe and welcome at their child’s school because they have deep, lasting relationships within the school community. Restorative Practices began as means for SPFT to address school discipline issues during our 2015-16 contract negotiations. 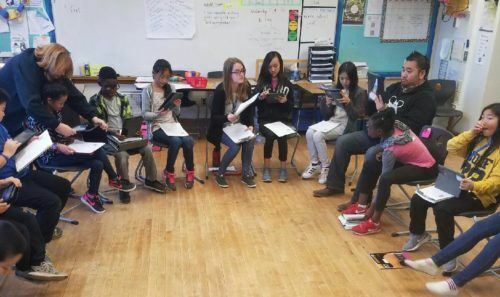 Through our partnership with Saint Paul Public Schools and their Office of College and Career Readiness, Restorative Practices in Saint Paul has become a model for a healthy, racially equitable school culture. SPFT won an agreement in 2016 with our school district to initiate Restorative Practice pilot sites in stages over the following three years. Three more schools will be selected as pilot sites for the 2018-19 school year. 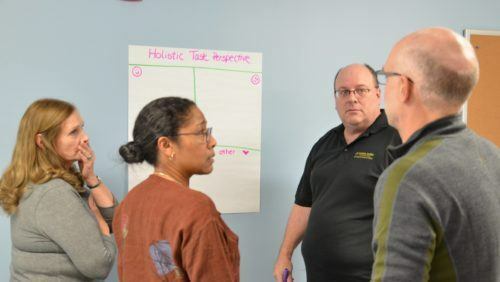 SPFT offers professional development opportunities to educators as well as community members who would like to learn more about Restorative Practices. To learn more, contact Becky McCammon at becky@spft.org.